Hope everyone enjoyed a bountiful and delicious Thanksgiving! Now, we're on to preparing for the forthcoming holidays. We always have homemade cranberry sauce on our table at Thanksgiving. I've discovered a little bit of a twist on my traditional whole cranberry sauce that makes it really pop (and those cranberries do indeed pop when cooking!). This post is a little teaser about my recipe for this sauce. 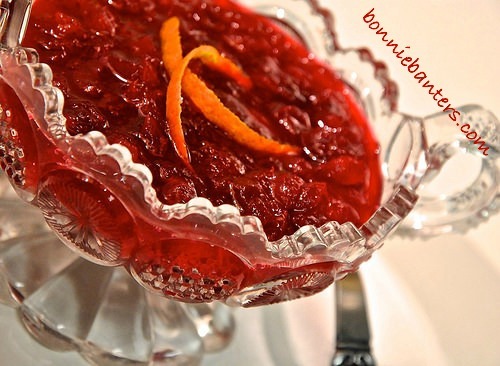 As I'm still working on my move (hopefully within a couple of weeks), I will come back to this post and share this special twist on a very simple recipe for traditional cranberry sauce. Just waving at you now. Stay tuned and enjoy the spirit of the holidays!